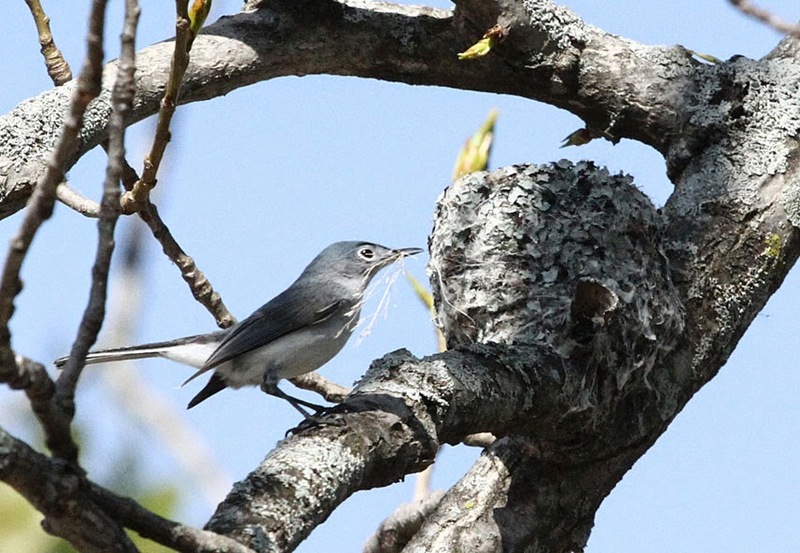 We happened to see blue-gray gnatcatchers at their nest and Gerry got some great shots. 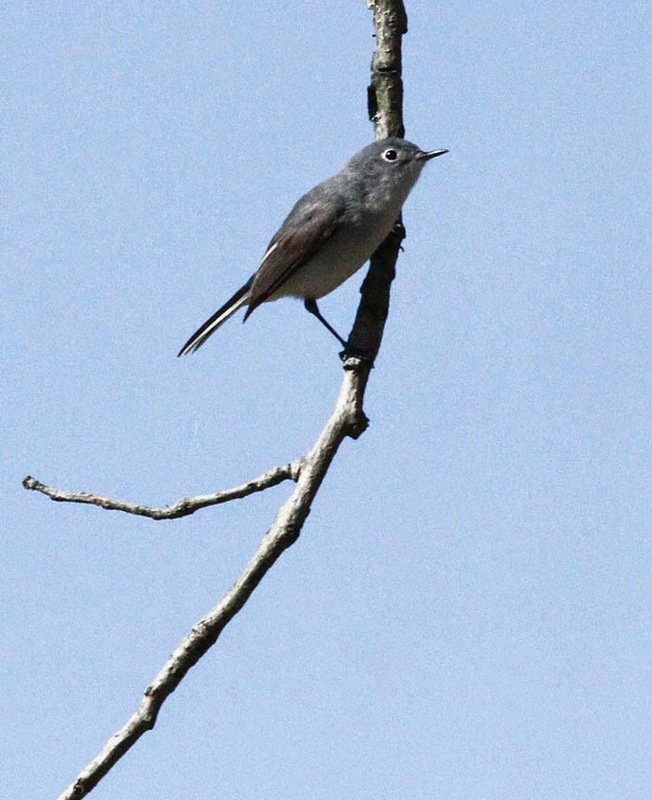 Here's some interesting facts I found on Cornells's site, All About Birds. 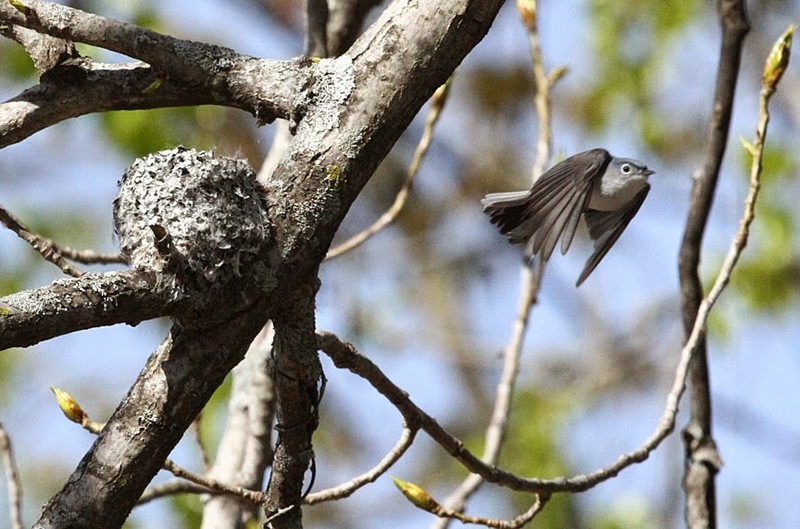 Both sexes cooperate in building the neat, open, cuplike nest. 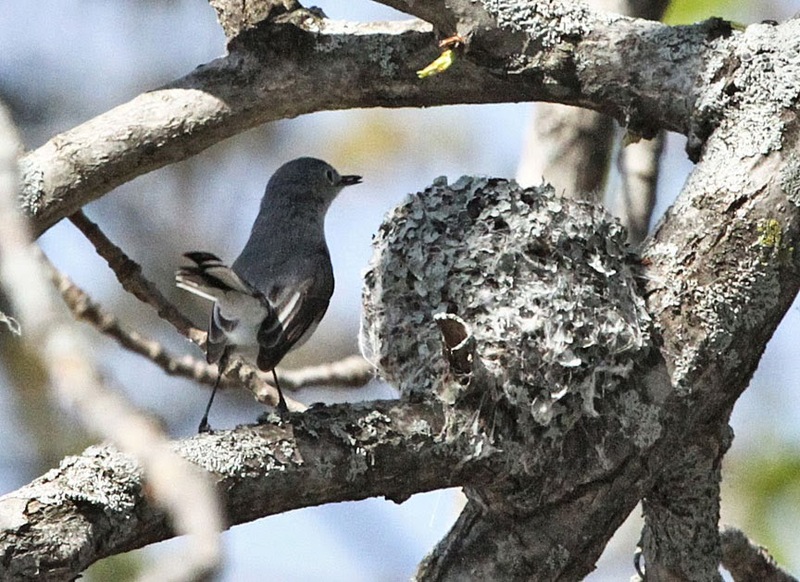 They take up to two weeks to build the 2–3-inch wide nest, which is held together and attached to its branch with spider webbing and decorated with lichen. 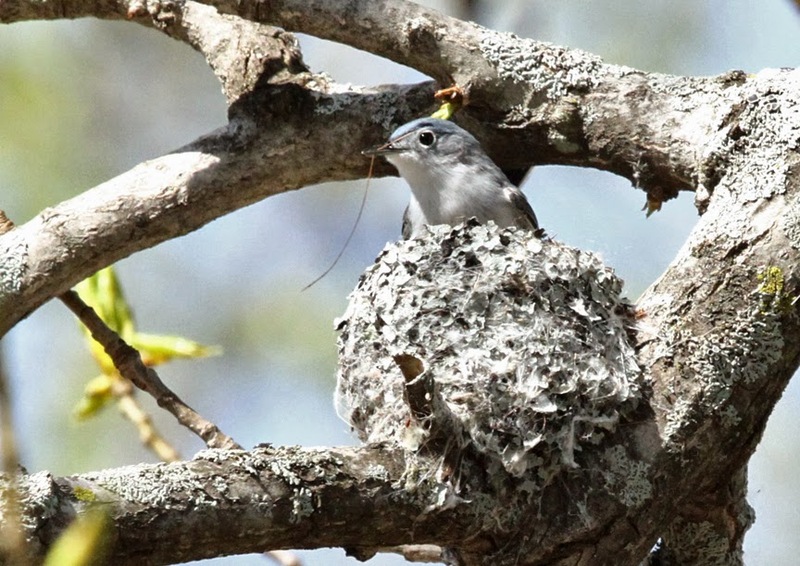 The nest's high walls are built in flexible layers. The main structural layer is built of fibrous materials like plant stems, bark strips, and grasses, all held together by spiderweb or caterpillar silk. 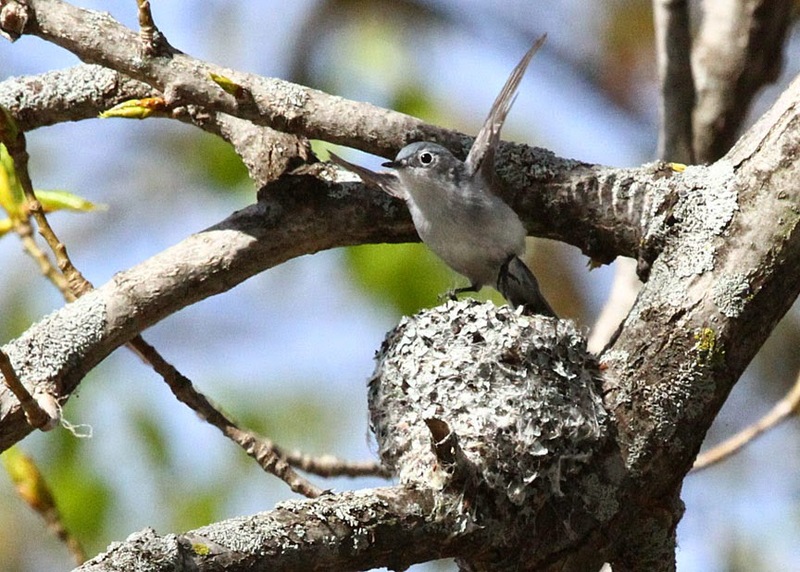 Inner layers become progressively finer, and the roughly 1.5-inch-wide cup is lined with plant down, paper, cocoons, hair, or feathers. The outside is covered with webbing or silk decorated with bits of lichen or bark flakes. 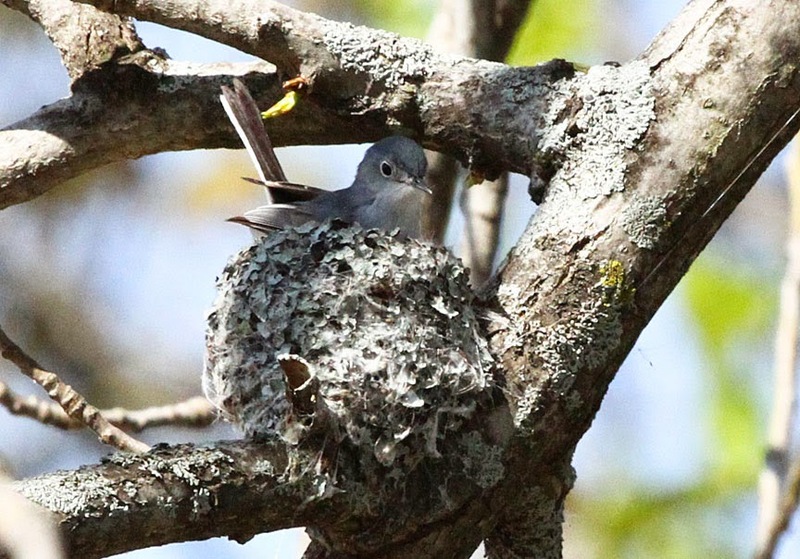 They often build a series of nests during a summer to counteract the effects of predation, mite infestations, or cowbird parasitism. 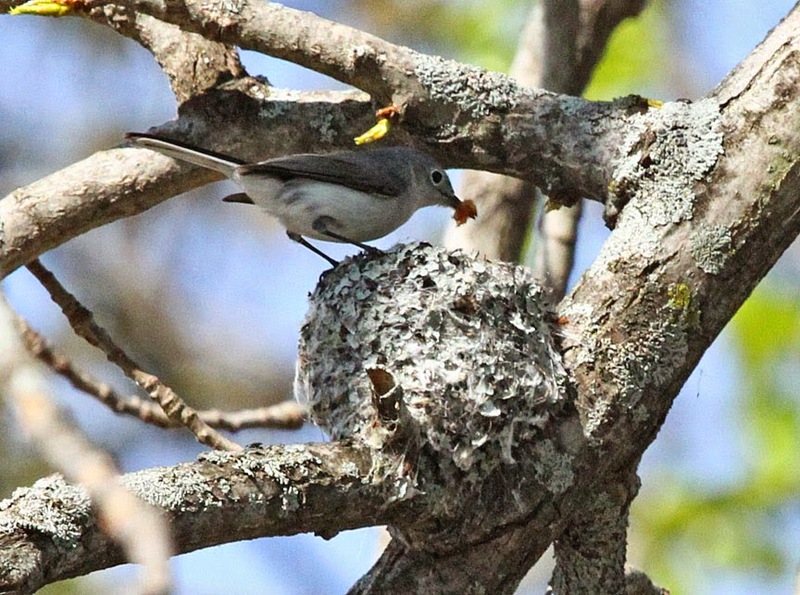 Materials from earlier nests are frequently recycled to build later nests, which may be why they are usually completed more quickly than first nests. 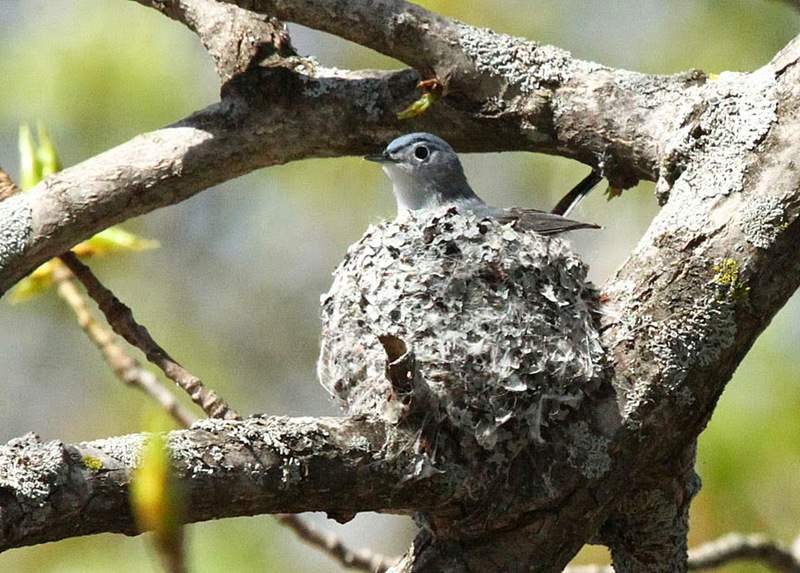 The male often builds second nests nearly solo, with the female finishing the inside of the first nest with softer materials.